I recently made some long overdue updates and changes to this website. Most importantly I wanted to make sure that it was responsive so people could enjoy the content on any device. I have been meaning to get around to doing this for almost two years and just could not find the free time. Finally I forced myself to take a bit of time to bring it up to date and I’m very pleased with the result. After I had the site up-to-date with a responsive layout, the next step was to create a simple navigation structor that did not get in the way of the content (cause a visual distraction). My goal here was to declutter and make the site structor as minimal as possible. So to this end decided I wanted to create a off-canvas menu. 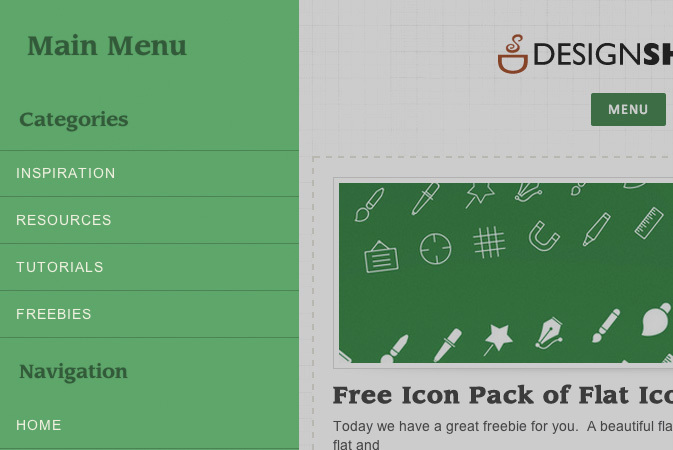 Luckily I had just recently been looking at a great example of exactly the kind of menu I was looking for on the website: Codrops . 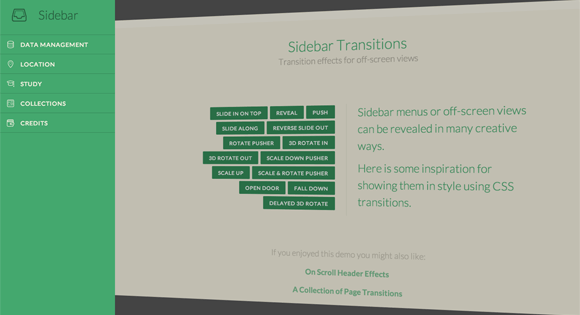 As you can see this is a great demo/tutorial for building a off-canvas sidebar. It comes pre packed with 14 unique transition effects to choose from. 1. Download the source code. Extract it to your desktop and view the contents in your favourite text editor (mine’s Sublime Text). So that should do it and you should now have a working example! There we’ve now hopefully covered everything you will need to make a off-canvas sidebar menu work with your WordPress site. If you run into problems be sure to let me know and I’ll see if I can help. Also if you do end up using this effect please add a link to your site in the comments, so we can take a look! Ahhhhh yes. The Golden Hour.